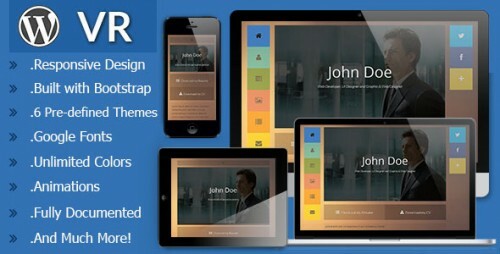 vCard themes is perfect to create an online professional presence. WordPress vcard themes are usually single page portfolios specially designed for professional, business or small personal portfolios. If you have your own personal domain name a vCard theme is an excellent option to showcase your skills and portfolio of works and with some vCard WordPress themes. You can easily change the fonts, the color of your background, add logos and images without going under the hood. 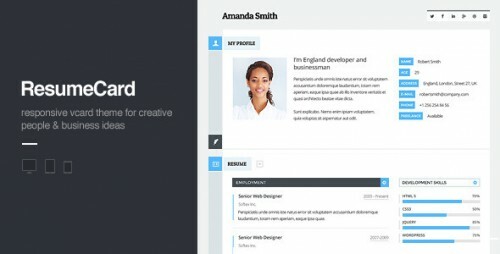 A hand picked list of the best WordPress premium vCard themes designed to showcase your resume/CV and portfolio. These are premium themes with premium design, quality and functionality. 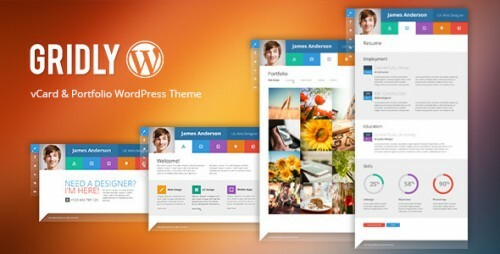 We hope you like and enjoy the WordPress themes and can use them on your own blogs and websites. I guess you will have a hard time to choose one theme that you want to use because all of them are awesome. You may be interested in the following modern trends related articles as well: Free Author Bio WordPress Plugins, Excellent Image Editors for Web Designers, Free Stamp Fonts for Photoshop and Best Dragon Tattoo Designs Ideas. 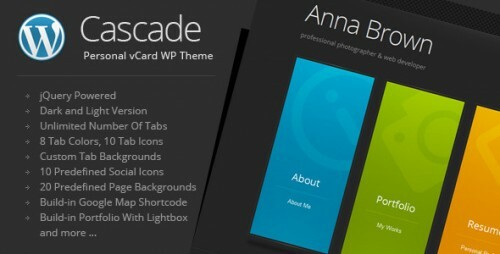 Cascade is a minimalistic personal vCard WordPress Theme based on colorful vertical menu tabs. Tabs are presenting content of the pages. Each page is a single tab. The Theme comes loaded with dark and light skin, possibility to add unlimited number of tabs, 8 predefined tab colors and 10 predefined tab icons to choose from, 20 predefined page backgrounds and 10 predefined social icons. Zwin is an impressive and professional online vcard, a beautiful portfolio with sliding effect, resume and contact information with Google map. It’s simple! Just download and install in a few minutes, you can show your online card to your friend, customer or employer in an interview by phone or tablet. 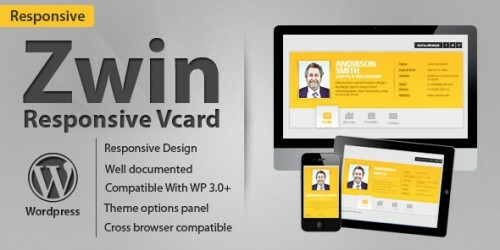 cvCard is a responsive ajax enabled vcard theme with Sliding Horizontal Layout. CSS3 Sliding Horizontal layout with fallback to classic layout for non-supported browsers. 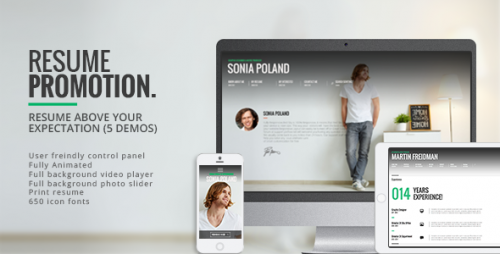 Filtered portfolio with solid ajax portfolio details and custom styled-mobile optimized lightbox. Both support image and video. Precision – Premium vCard WordPress Theme is a sleek and minimalist single page WordPress theme with smooth scrolling design and amazing effects! 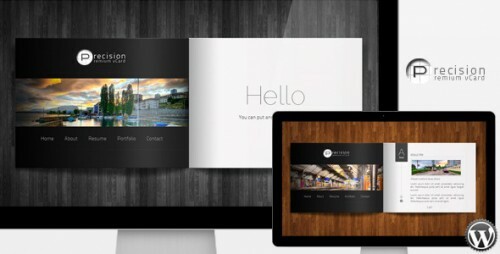 It has a unique “brochure style” design with a fixed left hand side so your image slide-show is always visible. 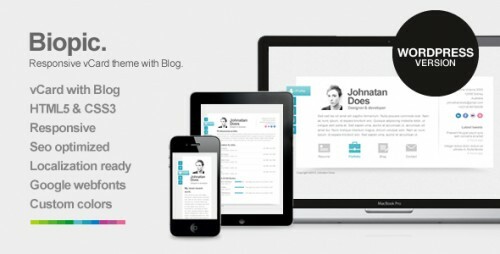 Self is a fully responsive vCard WordPress theme that works in all major browsers, tablets and mobile phones. 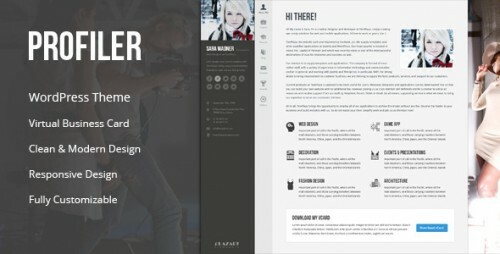 Features: Change colors/style in seconds, Fully responsive and fluid on smaller devices, Single page jQuery-driven template, smooth and sleek, 17 different background patterns to choose from, Includes unique custom page templates for Profile, Resume, Portfolio and Contact and more. vCard is a minimalistic personal vCard WordPress Theme, an impressive and professional online vcard, a beautiful portfolio, resume, skills and contact information with Google map. Theme comes loaded with dark and light skin, possibility to set unlimited colors, 14 predefined color schemes and unlimited background colors, 14 predefined backgrounds colors, light and dark color for logo text. FlexyVcard is an impressive and professional online vcard, a beautiful portfolio with sliding effect, resume and contact information with Google map. It’s simple! Just download and install in a few minutes, you can show your online card to your friend, customer or employer in an interview by phone or tablet. 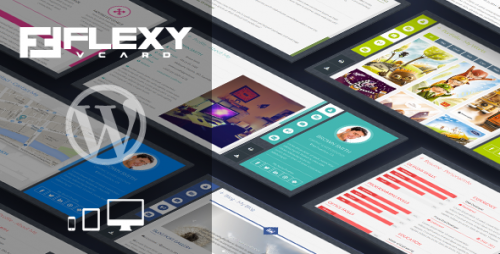 Because FlexyVcard is a responsive wordpress theme, you can view your website on pc as well as handheld devices. 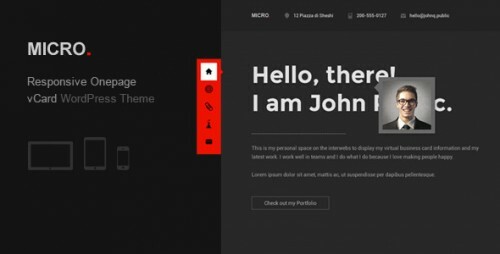 Micro is a minimalist One page WordPress vcard Resume theme with a unique design and features to show off your work and skills in an organized way. You can use it as a personal or business portfolio as well. It is responsive and designed to look beautiful whether you are using a desktop computer or a mobile phone. Gridly is compact, clean, 100% responsive (try to resize your browser viewing the live-preview site) personal portfolio WordPress theme. 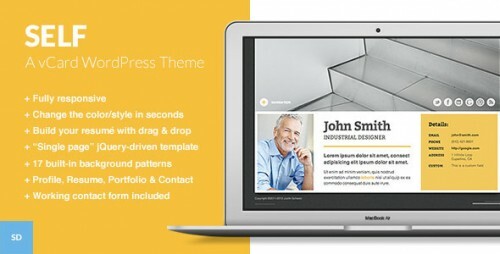 This theme based on simple one-page template with tabbed navigation. 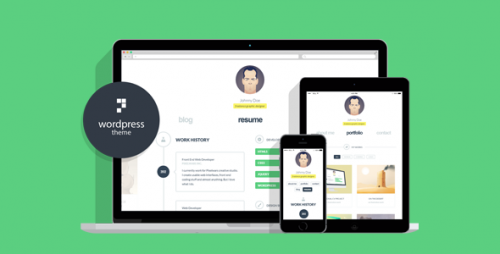 Gridly is suited for personal websites, CV, portfolio with the blog feature.